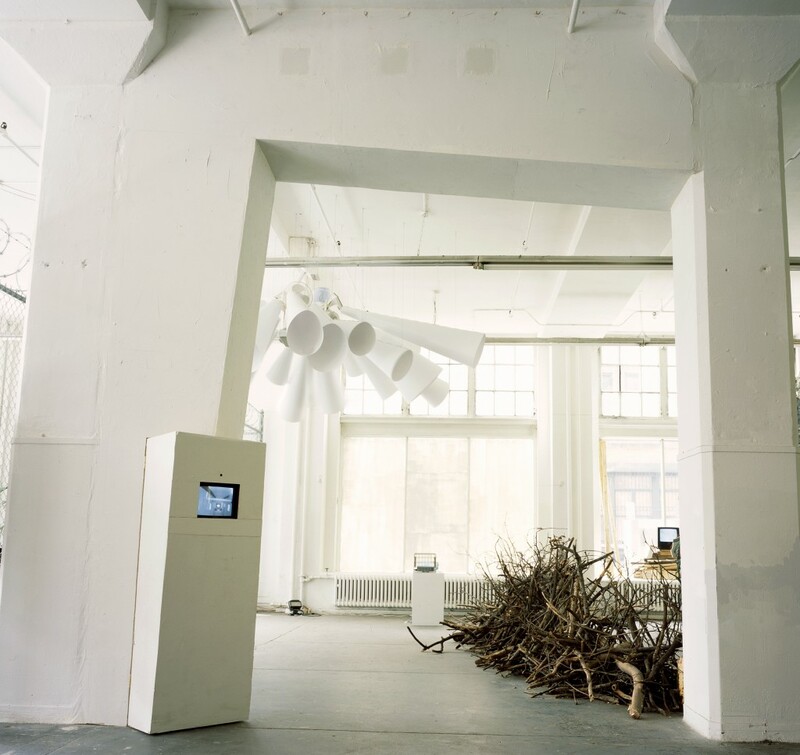 The project is a site specific prototype created to match the space of a gallery. 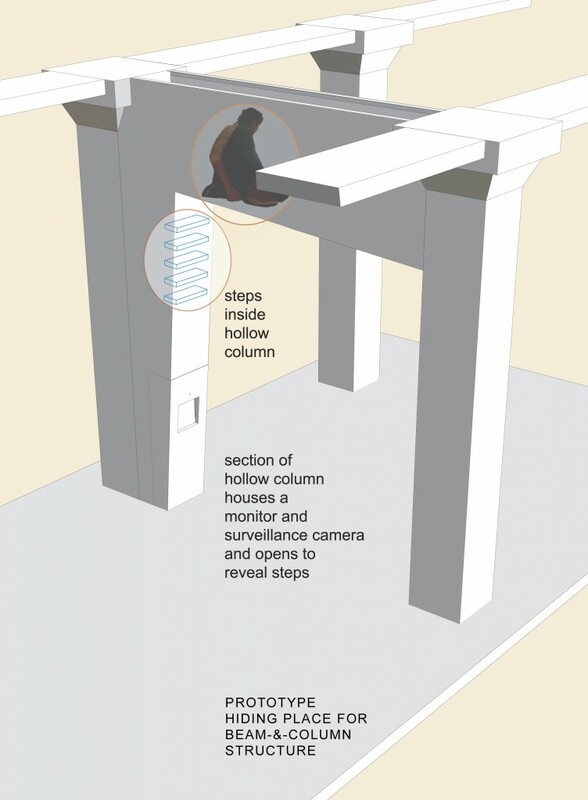 The initiators designed fake column and fake beam which visitors could climb up inside. A monitor connected to a surveillance camera showed who was inside the structure. The initiator designed a series of structures replicating some hidden places which either immigrant workers or persecuted people have been using to hide from the authorities. To hide people form the authorities. The structures could keep their users purposely invisible and safe when immigration officers arrive.